Marinoni Peltro: Pink, red and gold. Ideas for a full of Love Valentine's Day . Pink, red and gold. Ideas for a full of Love Valentine's Day . Valentine's Day is the day of love messages and gifts' exchange between lovers. It is an opportunity to take a break from everyday life and devote time to the loved one. This year Valentine's Day is celebrated on Saturday: here are some tips to spend an entire day full of love, from breakfast dessert until a romantic dinner, going through a frugal lunch. 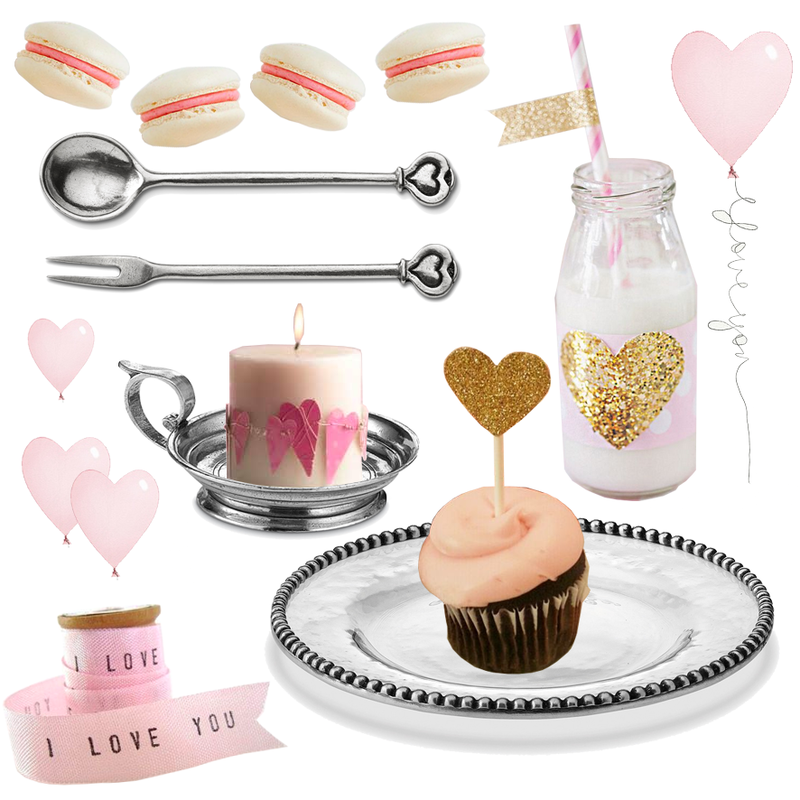 Pink is the color of this delicious breakfast: macaroons, muffins, a scented candle and many little hearts. 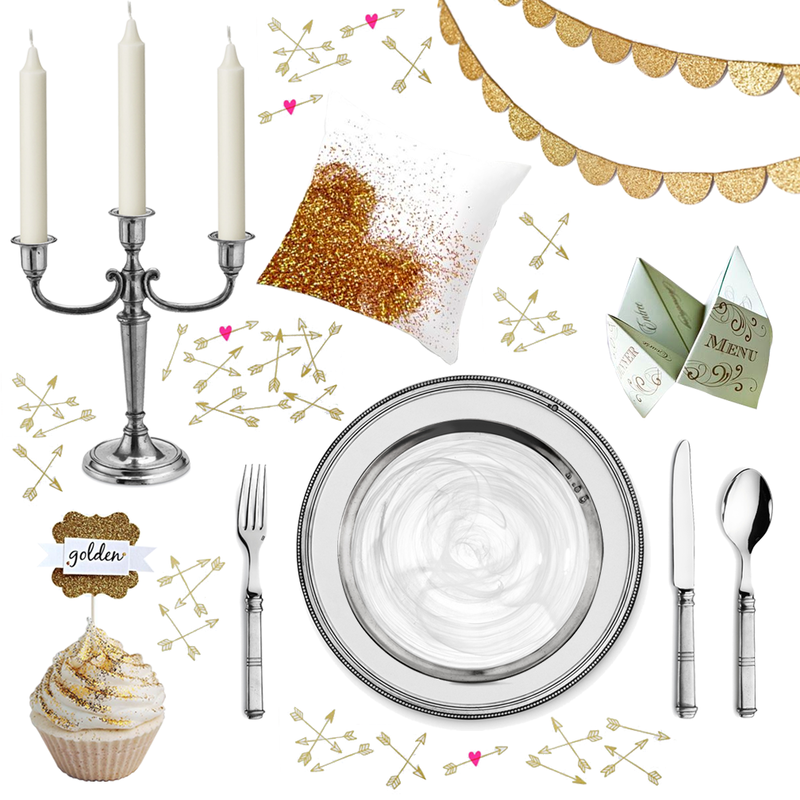 In the image below you also find the pewter candlestick, the appetizer fork and spoon, and the pewter and glass dessert plate. Lunch should not be abundant, on Valentine's Day people eat especially love! Allow yourself extra sweetness, a red apple or a heart-shaped donut. The Marinoni creations featured below are the pewter cutlery set, the pewter and ceramic dinner plate, the classic pewter plain charger, the pewter and glass tumblers and the individual butter dish. 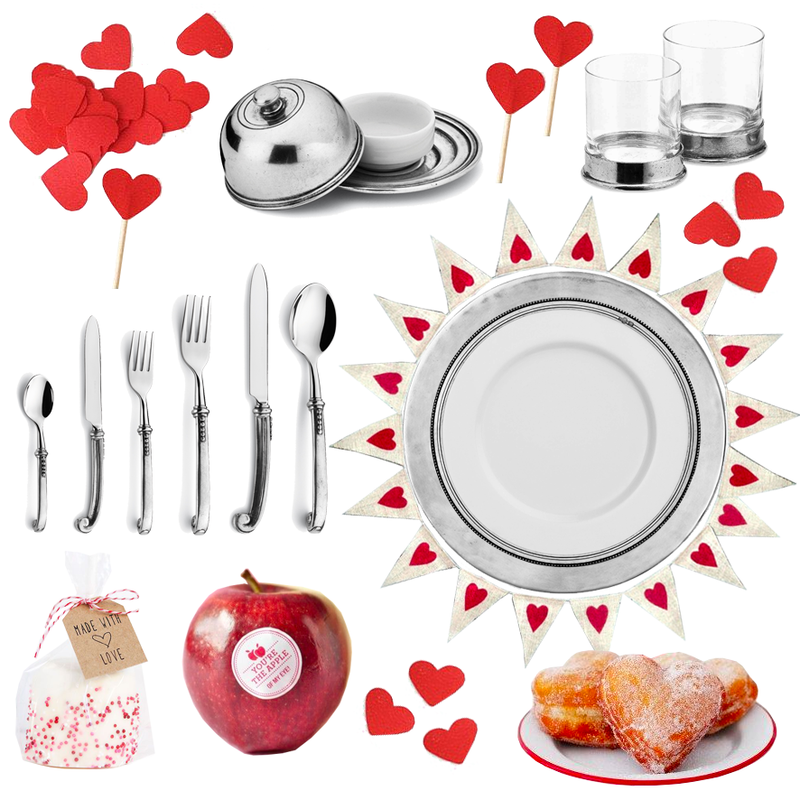 The romantic dinner is Valentine's highlight - to give it a touch of style set aside the little red hearts and use some gold. Whether you're arranging a dinner at your first date restaurant or you're having a more intimate evening at home, gold is well-suited with the candles light. In this golden composition we put the pewter 3-light candelabra, the pewter and ceramic charger, the pewter and alabaster-white glass dinner plate and the pewter and stainless steel flatware. Have you decided how to spend your Valentine's Day? What gift would you like to receive? In any case, we wish you to spend a day full of love. Happy Valentine's Day from Marinoni!